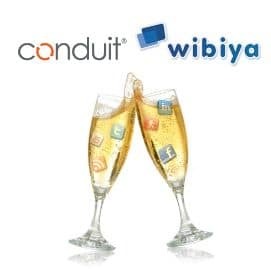 Wibiya just announced today that is has officially been acquired by Conduit, the world’s biggest network of web and mobile app publishers. By joining forces, they say it will allow them to continue innovating and creating great products for publishers. 1) Everything is business as usual at Wibiya, but will become bigger, faster and more powerful. They also revealed they’ll be releasing some amazing new products this year. To create a world in which our tools enable businesses, blogs, e-commerce sites, and publishers of all sizes to establish a viable online presence (including social tools, communication tools, earning money and much more) without any need for technical skills or knowledge – allowing them to concentrate on what’s really important to them: their core business. Do you use the Wibiya toolbar on any of your sites and if so, what features do you like the most?